Your BUST determines your size. 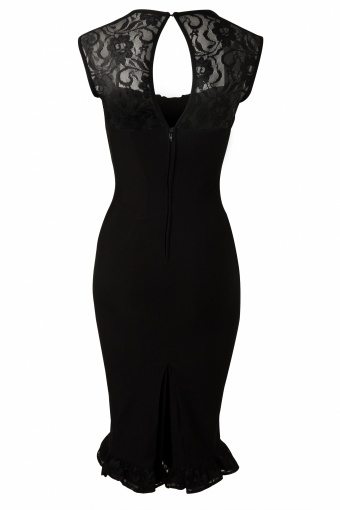 The Micheline Lace Dress Black from Pinup Couture. This design is named after In-house Hottie Micheline, and like her, will turn heads and bring traffic to a screeching halt! Made from the highest quality stretchy bengaline that is soft, not scratchy, and holds you in while hugging your curves! 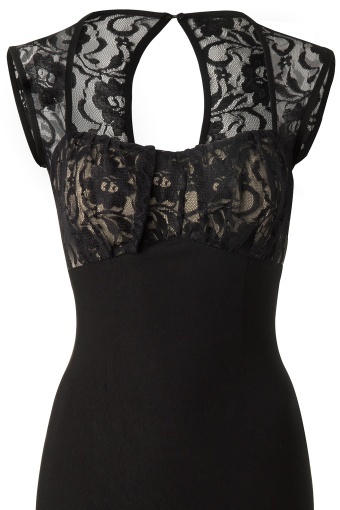 Features include a fitted, structured "wiggle" silhouette, gathered stretchy lace covered bodice, and a ruffle black lace hem. The gathers at the bust create the illusion of bigger chi-chis. 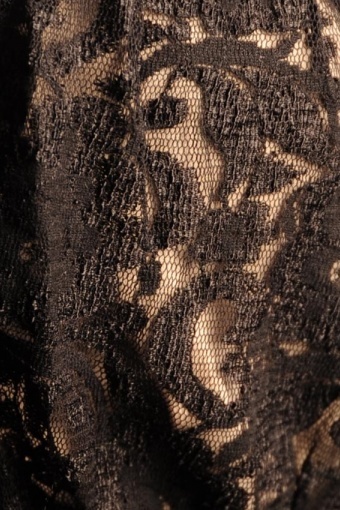 Pretty keyhole and classy kickpleat at the back creates ease of movement. Available in several styles, made in USA. Model wears the Bella black pumps from Pinup Couture.